SUMMIT's SWC6BI solid door wine cellars are made in Europe with quality construction to meet commercial standards and provide long term storage in any residential or commercial setting. 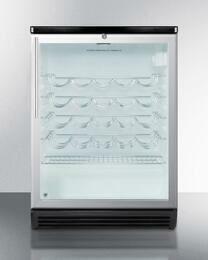 The SWC6BLBIFR is sized at just 24" wide, perfect for rooms with limited space but high standards. 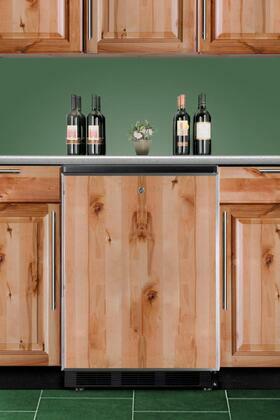 Store 50 of your finest bottles under the ideal conditions on scalloped chrome shelves. 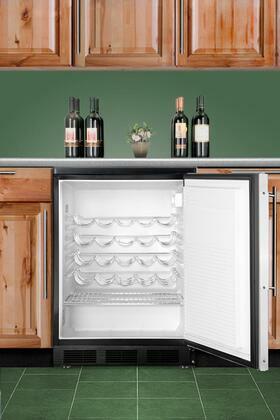 This low maintenance unit is conveniently auto defrost, with a seamless liner for easy cleanup. 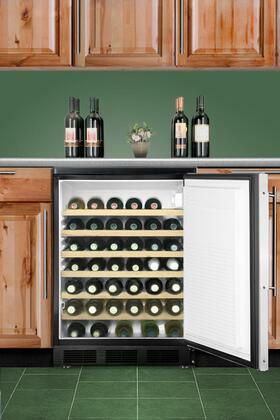 For the customer that desires a perfectly sized wine cellar with trusted construction, the SWC6BLBIFR has it all. Height to Hinge Cap 33.75"
The shelves on this thing are great. They are able to be adjusted so we can accommodate different wine size. I have been using it for over 2 months now and its a great unit. It features an attractive interior with great functionality.